Google launched its $35 Chromecast device today that allows users to stream their Chrome tabs and videos to their TVs from virtually every popular platform. 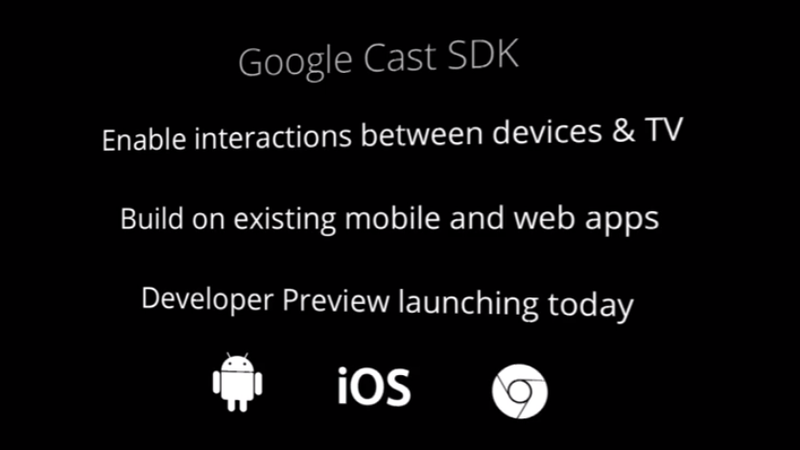 In addition, Google is also launching the Google Cast SDK for developers on iOS, Android and Chrome, which will allow them to enable their apps to stream right to their users TVs. The new SDK, which is officially in beta (or “preview,” as Google calls it), will be available later today. 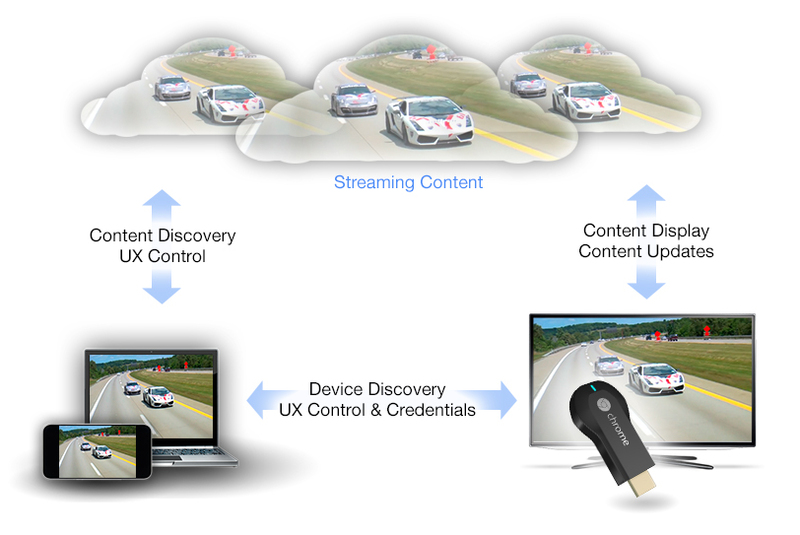 The SDK, Google says, will enable interactions between devices and TV. Developers don’t have to build new apps for this platform, the company stressed, but will be able to build on their existing mobile and web apps. “Our goal is to create an ecosystem of apps and devices,” Google’s Mario Queiroz said in his announcement today. “While the Chromecast device is the first instantiation of Google Cast, we expect the technology to be embedded in a range of hardware from our partners in the future,” Google noted in its announcement today. Over time Google hopes that the technology will be embedded in a number of devices and that developers will support it the way they did Apple’s AirPlay. Unlike Apple’s solution, though, Google is opening this service up across platforms. At $35, I would assume that many developers will pick one of these devices up and start experimenting with them.